It’s the most important meal of the day, right? It is in my book. Let’s look at the word a little closer. BREAK- FAST. Breaking the fast. Breakfast breaks the fast after a night’s sleep. Breakfast gives you fuel for the day and gets your metabolism fired up. Breakfast does not have to be breakfast foods, but I do encourage people to include at least 3 food groups at breakfast. For example: oatmeal with fruit and nuts, toast with peanut butter and a glass of milk or yogurt with fruit and granola. If you are in a hurry, a granola bar, hard boiled egg and an apple. Below I have included a recipe that a colleague (and friend) Tracey Soulia, Registered Dietitian and owner of My Health Bites, PLLC developed (http://myhealthybites.com/). 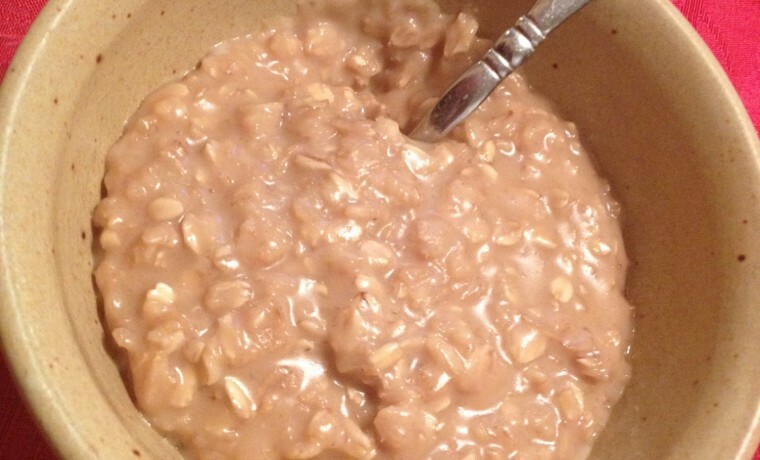 Oatmeal is a good source of soluble fiber, which has been proven to lower cholesterol levels. With the addition of fruit and nuts, it can provide you with a satisfying balanced breakfast. This recipe does make a fairly large amount. If you are cooking for one, you can store this in the refrigerator for a few days and pre-portion oatmeal for every day of the week! Spice it up and add different fruits or nuts for some variety and additional vitamins and minerals.